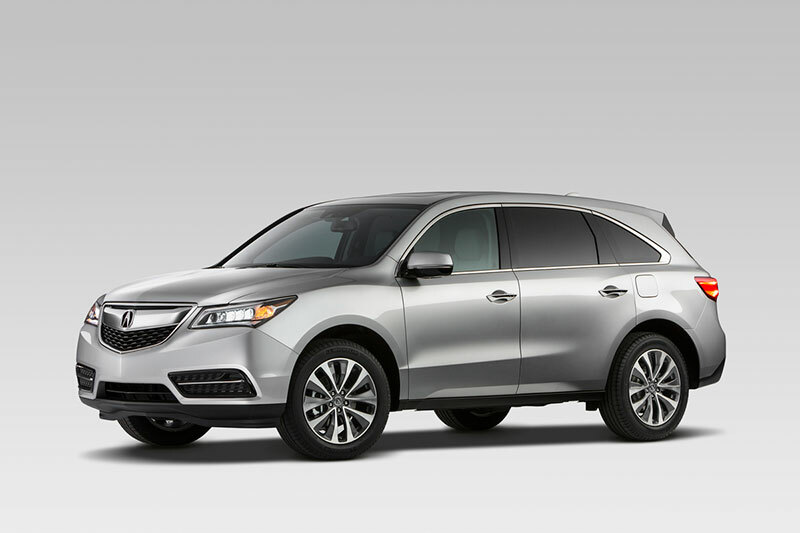 Acura’s award-winning MDX luxury SUV goes on sale June 3, returning for the 2015 model year. The MDX is once again available in two-wheel and Super Handling All-wheel Drive (SH-AWD) drivetrain configurations and four luxuriously-appointed grades. With 2014 accolades including Autoguide.com “Utility Vehicle of the Year” and a Top Rating from Edmunds.com, to U.S. News & World Report naming the MDX “Best Luxury 3-row SUV for Families” and “#1 Luxury Crossover SUV,” plus Kiplinger’s Personal Finance awarding it the “Best Value Award,” the completely reengineered 2014 MDX debuted to critical acclaim. Discerning luxury SUV customers echoed the critics’ sentiments, purchasing Acura’s seven-passenger luxury SUV in record numbers. For 2015, the MDX returns with the same superior level of luxury comfort, quietness and technology features, combined with exhilarating dynamic performance, top-class fuel efficiency and advanced safety performance ratings. The luxurious and versatile cabin has roomy seating and a second-row seat with reclining seatbacks and an Extended Slide feature that offers 6-inches of fore-and-aft travel. For ease of access to the third row, the MDX has wide and low step-in access and the One-Touch Walk-In feature that moves the second row seat out of the way at the push of a button. Superior cabin quietness and overall refinement is accomplished with the use of three-layer acoustic glass for the windshield and front side windows, thick rear door glass, triple side-sill door seals and Active Noise Control technology. Boasting an abundance of standard luxury features, the 2015 MDX includes Smart Entry with Push Button Start, Jewel Eye™ LED headlights, exterior and interior LED lighting, an 8-inch On-Demand Multi-Information Display touchscreen, Expanded View Driver’s Mirror and a powerful 432-watt Acura sound system. Upping the luxury and technological quotient even further, the range-topping MDX with Advance Package includes a wide range of features including Lane Keeping Assist System, Adaptive Cruise Control with Low-Speed Follow, remote engine start, an Ultra-Wide DVD Rear Entertainment System with HDMI connectivity, and front and rear parking sensors. The 2015 Acura MDX is powered by a 3.5-liter, 24-valve i-VTEC direct-injected V-6 engine that produces 290 horsepower2and 267 lb-ft of torque3, while also featuring Variable Cylinder Management (VCM) for enhanced fuel efficiency. The powerful and efficient engine is paired with a standard 6-speed automatic transmission with Sequential Sport Shift. 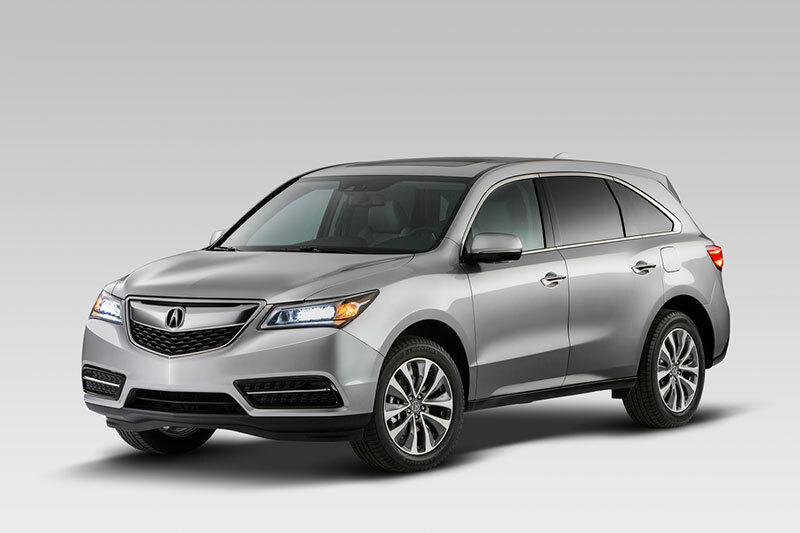 The MDX is available with front-wheel drive or Acura’s signature Super Handling All-Wheel Drive (SH-AWD) system. The two-wheel-drive MDX is anticipated to achieve an EPA rating of 20/28/23 mpg4 (city/highway/combined) and the MDX with SH-AWD with an expected rating of 18/27/21 mpg4 (city/highway/combined). Equipped with Acura’s next-generation Advance Compatibility Engineering™ (ACE™) body structure, and available with advanced safety and driver-assist features such as Lane Departure Warning, Forward Collision Warning, Lane Keeping Assist and Collision Mitigation Braking System™, the 2015 MDX is expected to again earn top safety ratings from the U.S. federal government and the Insurance Institute for Highway Safety, including an expected TOP SAFETY PICK+ rating from the IIHS. The MDX was designed and developed in the U.S. and is manufactured in Lincoln, Alabama5. View, build and price a 2015 Acura MDX at acura.com/ModelLanding.aspx?model=MDX.